Discover out-of-the-way places like Dolphin Quay and New Norcia Museum & Art Gallery. Explore the numerous day-trip ideas around Perth: Harvey (Harvey River Estate & Stirling Cottage), Rockingham (Rockingham Beach & Point Peron) and Whiteman Park (in Whiteman). Dedicate the 7th (Sun) to wine at some of the top wineries in the area. 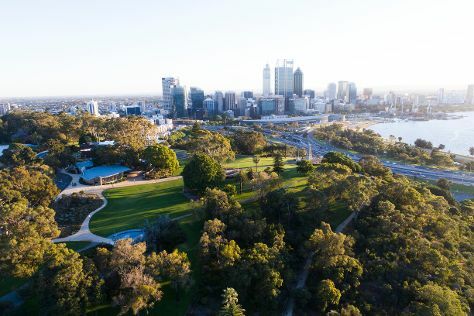 And it doesn't end there: take in nature's colorful creations at Kings Park & Botanic Garden, go for a walk through Lotterywest Federation Walkway, browse the exhibits of Fremantle Prison, and take some stellar pictures from Mount Brown Lookout. For more things to do, where to stay, ratings, and tourist information, read Perth tour itinerary planning site . If you are flying in from Indonesia, the closest major airport is Perth International Airport. In June in Perth, expect temperatures between 23°C during the day and 9°C at night. Finish your sightseeing early on the 9th (Tue) so you can travel back home.